Preventative maintenance includes several services which help to keep your vehicle from requiring more invasive work in the future. The term “preventative” speaks for itself, indicating that these services are made to prevent additional spending or accidents due to improperly maintained machinery. Because there are so many types of preventative maintenance, there’s no set timeframe to have this type of work completed. Each component in your vehicle has its own shelf life and should be maintained on a regular schedule. For example, you should change your spark plugs every 30,000 miles to keep your engine from breaking down. Your oil should be changed every 3,000 to 10,000 miles to prevent a buildup of debris in the fluid. Preventative maintenance isn’t just about saving money down the road, it’s also about keeping you safe on the road. Your vehicle is made up of so many moving parts, and all it takes is one part to go to cause a huge problem. At Glenn’s Auto Repair, we think of our clients as part of the family, so we want to make sure you get safely from point A to point B every time. Sometimes something as minor as an unevenly worn tread on your tire can be the cause of an accident if a tire blows out on the freeway. What’s Included in Preventative Maintenance? There’s no one service fits all when it comes to preventative maintenance. Most garages have their own package which covers a variety of checks and repairs, from replacing your air filters to changing the spark plugs. 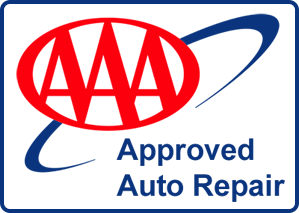 Minor replacements such as new windshield wipers, and major replacements, such as new batteries may be required during preventative maintenance. What you can count on is that your mechanic will help you make the best decision for your vehicle based on the problem areas they see, and the greater issues these could cause in the future. Most preventative maintenance services will include an engine and fluid check, an oil change, and possibly a diagnostic on warning lights, if your dash is looking a little more lit up than it should be. How Often Should Preventative Maintenance Be Performed? As we briefly touched on above, there’s no set time for preventative maintenance as a whole, but Glenn’s Auto Repair suggests that you should bring your vehicle in at least once a year to have preventative maintenance services. At the very least, a yearly tune-up will keep your vehicle running more smoothly, help with fuel consumption, and hopefully save you the trouble of many future visits due to minor and major repair needs. Can I Do DIY Preventative Maintenance at Home? There are small portions of the preventative maintenance process that you can do safely at home without the help of a mechanic. Checking your own oil levels, for example, is a great example of something you can do without risking harm to your vehicle. Changing your oil, however, is better left to the professionals. Similarly, cleaning the exterior of your engine with the right degreasers and brushes is something you can do at home. Changing your air filters, on the other hand, should be done by a mechanic. DIY might seem like a good idea in terms of money spent on labor, but it can have some disastrous results if you’re not a trained mechanic. Changing a brake pad, as an example, seems like an easy enough task to perform at home. Unfortunately, if the pad isn’t placed right, or your caliper is damaged in the process, it could mean replacing the entire braking system, which is much costlier than pads alone. For more information on preventative maintenance, or to schedule an appointment with one of our certified mechanics contact us today. At Glenn’s Auto Repair, we are always happy to speak with new and existing customers, and look forward to getting to know you. As a small family owned business, we know how important it is to be part of the community and give back when we can. We take great pride in the high-quality workmanship of our mechanics, and hope you will too. Please don’t hesitate to ask any questions you might have regarding the various types of preventative maintenance and how they can help improve your vehicle.